Northwest China's Ningxia Hui autonomous region is celebrating the 60th anniversary of its establishment this year, and the capital city of Yinchuan is making the most of the occasion to demonstrate its charm, vitality and development to the outside world. The regional capital is speeding up its globalization and modernization by implementing a number of national strategies. It has also been seeking to expand in overseas markets and attract foreign investment by promoting the construction of an inland opening-up pilot economic zone. China's central government approved the construction of the Ningxia Inland Opening-up Pilot Economic Zone in 2012. The zone enhances cooperation between China and the countries in Central, South and West Asia in terms of trade, commercial logistics, key industries and cultural and human resources exchanges. In June, the government of Yinchuan, a core area of the pilot zone, released a construction plan for transportation, internet technology, industrial parks, expositions, ports, e-commerce, business environment and its comprehensive free trade zone, further related to opening up. 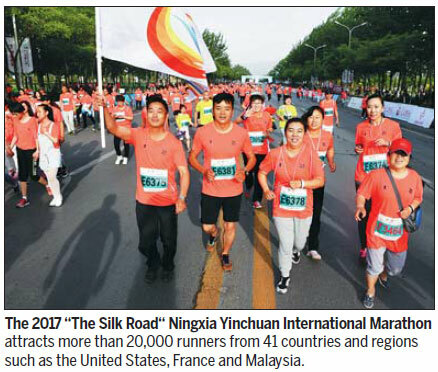 Transportation, for example, has always been an important area for the city government to improve, as historically, landlocked Ningxia has had poor transportation infrastructure that has hampered its development. To remedy this, Yinchuan is aiming to build an integrated comprehensive transportation hub in the aviation sector, with its Hedong International Airport serving as the centerpiece of the project. The airport will become a regional aviation hub opening up to the west on the Silk Road Economic Belt. According to the city government, it will also build a well-developed rail network to better play its role as a pivot city of the China-Central Asia-West Asia Economic Corridor. The city plans to pour more resources into digital economy and Internet Plus, as well as to provide greater support to the application of the narrow band internet of things and 5G mobile network. High-quality internet services will be offered to countries involved in the Belt and Road Initiative to help promote their trade, economic cooperation and communication. Over the past 60 years, particularly in the past four decades after the reform and opening-up policy had been put in place, Yinchuan has made remarkable achievements in social and economic development. The city's GDP rose from 84 million yuan ($12.26 million) in 1958 to 180.32 billion yuan in 2017, an average annual growth rate of 9.8 percent. Its import and export volume last year reached 27.06 billion yuan, up 65.6 percent over the previous year. In the first quarter of this year, its GDP reached 38.11 billion yuan, an increase of 8.1 percent year-on-year; the retail sales of consumer goods totaled 13.59 billion yuan, up 7.1 percent. The industrial structure of Yinchuan also became more rational and balanced, with increased proportions of secondary industries and the service sector. Emerging industries, such as new materials, new energy and e-commerce, have seen rapid growth in the city these years. Ningxia Hanyao Graphene Energy Storage Material Science and Technology, whose parent company is based in Tianjin, was founded in an economic and technological development zone of Yinchuan last year. It is a high-tech enterprise specializing in the production of graphene modified cathode materials, anode materials and conducting slurry, which are widely used in new energy vehicles and other energy storage fields. As a carbon nanometer material, graphene has effective conductivity, thermal diffusivity and strength. Mixed with other materials, it can substantially help the materials enhance their performance, according to the company. When asked why the subsidiary was located in Yinchuan, Zhou Daqiao, the general manager, said that the strong service awareness and high work efficiency of the local government impressed him a lot and stimulated him to come to Yinchuan directly. "After having submitted the application and relevant documents in the morning, I got the business license in the afternoon on the same day. That's really impressive," said Gao Changmin, assistant to the general manager of the company. With production starting in July, the company is expected to achieve a sales volume of around 300 million yuan by the end of this year. Ferrotec Semiconductor Technology, whose parent company was registered in Shanghai, settled in Yinchuan in 2010. Semiconductors are the core product of the high-tech enterprise, which can be applied to diversified fields including medical treatment, national defense and automated driving. "We have got powerful support from the local government, who provided us with all the plants for free in the first five years," said Dong Wenqiang, a spokesman for the company. "We have also got the exemption of business tax in the first three years." 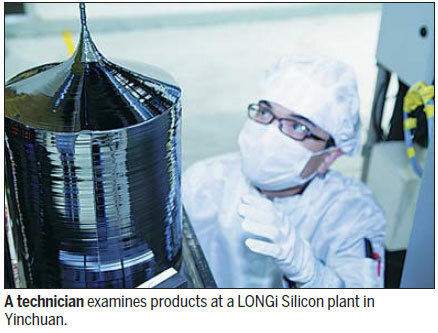 Dong added that producing and storing semiconductors needs controlled humidity and clean air, and that Yinchuan fits the bill for a production base. The company said it is to expand its production to create an entire industry chain in Yinchuan in the following years.